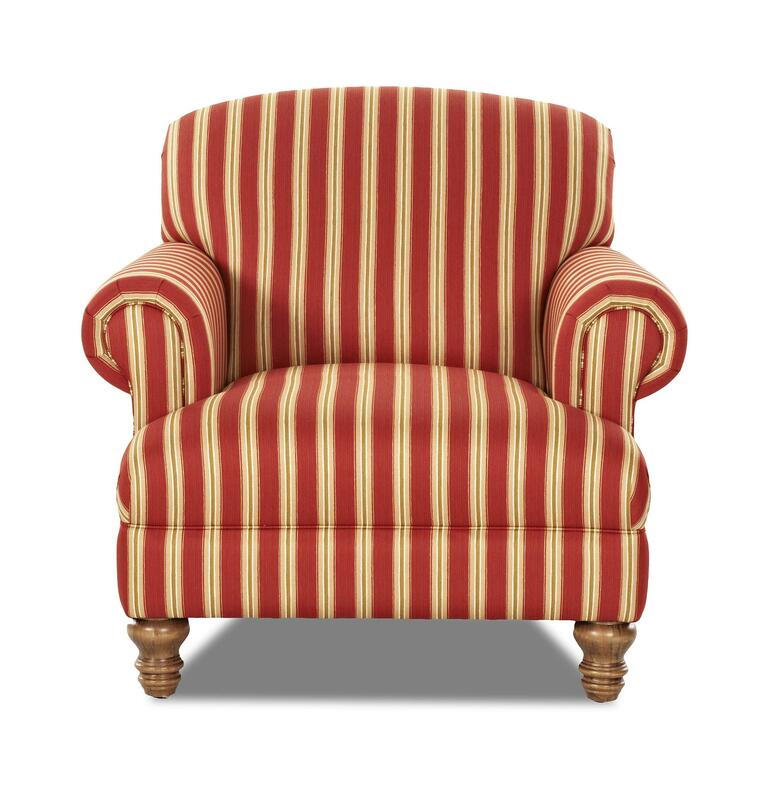 This traditional style chair features a tight seat and seat back, rolled arms and turned wood feet. Pair this chair with an ottoman to make it even more comfortable and complete the look of your living room. 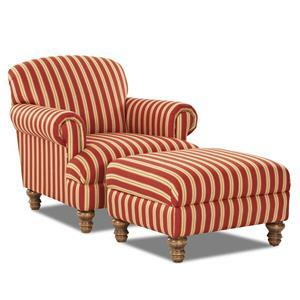 The Bailey Traditional Chair with Rolled Arms and Turned Feet by Klaussner at Value City Furniture in the New Jersey, NJ, Staten Island, Hoboken area. Product availability may vary. Contact us for the most current availability on this product. 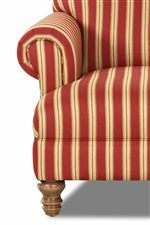 The Bailey collection is a great option if you are looking for Traditional furniture in the New Jersey, NJ, Staten Island, Hoboken area. Browse other items in the Bailey collection from Value City Furniture in the New Jersey, NJ, Staten Island, Hoboken area.